Prince Christian, the eldest son of Crown Prince Frederik and Crown Princess Mary, is celebrating his 12th birthday today. (Born on October 15th, 2005 in Copenhagen). 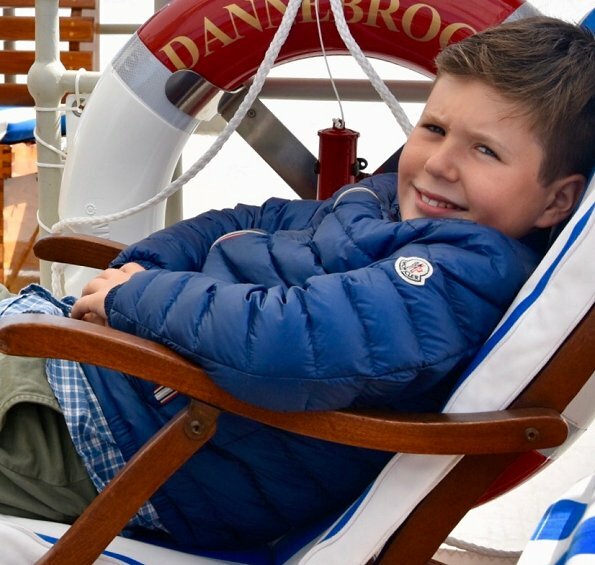 Royal House of Denmark published his new a photo on occassion of 12th birthday of Prince Christian of Denmark. This photo was taken by Crown Princess Mary. Happy birthday to you Prince Christian of Denmark. Happy Birthday to Christian. I remember when he was born. Wish the photo was better. I do love seeing more candid style photos but I agree this is a disappointing picture to use because you can barely see him. Yes, the photos of his sister Isabella at her birthday this Spring were really good and beautifully clear of her face. Oh, well, maybe Christian does not like having portraits taken. Nice to see a casual relaxed moment.